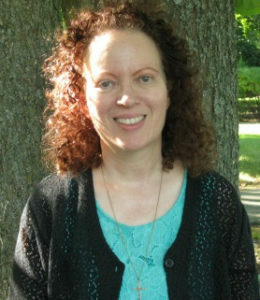 Elaine Stock is the author of several novels. Her debut, Always With You, won the 2017 Christian Small Publishers Association Book of the Year Award in fiction. Her Good Girl won the 2018 Independent Author Network Outstanding Christian Religious Fiction award, the 2018 Readers’ Favorite Silver Medal in Christian Fiction, and the 2018 American Fiction Awards title in the Christian Inspirational category. Elaine enjoys hanging out on social media and her active blog, Everyone’s Story, which is dedicated to uplifting and encouraging readers through the power of story and hope. She and her husband live in upstate New York. Let’s talk about your new book, Christmas Love Year Round (GTG Publishing, September 2018). Please tell us about it. Kathy, thank you for again hosting me on your lovely blog, Divine Detour. Christmas Love Year Round is a sweet inspirational novel and is Book 1 of the Kindred Lake Series. Though the title shows Cami and Gavin’s story is set at Christmastime, it’s really about love that is meant to last year round, for always. The Kindred Lake Series is about rediscovering the beauty of love especially in unexpected places, strengthening faith and family ties, and finding harmony in the small town of Kindred Lake. 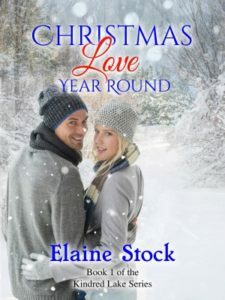 In Christmas Love Year Round Cami and Gavin’s story of love and forgiveness gives new meaning to the “boy next door” when he becomes neighbors to the woman who bullied him during their childhood. Readers often ask the origin of a story idea. When I wrote my first published novel, Always With You, I was asked if my husband was a white supremacist. No! When Her Good Girl released, the questions of whether my mother practiced Munchausen Syndrome by Proxy popped up as well. Although my mother unfortunately did suffer another mental illness, it wasn’t MSP. And now Christmas Love Year Round, Book 1 of the Kindred Lake romance series, is on sale. What fuels my writing? What is a connecting theme between the stories I write? I feel strongly that love is the most essential relationship we must share between all … between family members, friends, neighbors … between strangers, enemies, those who live differently than us, and foreign countries. Yet, what ignited the genesis of Christmas Love Year Round is whether two former enemies can fall in love. Then, to add a little pressure onto Cami and Gavin, I made them live across from each other, have families that are still in conflict, and have Gavin involved with Cami’s son in a local town version of Big Brother Big Sister. Even holidays are subject to detours. Have you ever had holiday plans go completely awry and then turn out to be extra special because of it? Yes. In years past there was a lot of pressure within my husband’s family to dress and act formally on Christmas Day. Keep in mind that my husband and I are the jeans and sweatshirt type of people. Often Life 101 acted up during these times. A spilled drink. Tree lights that don’t work. A pet that decides to “entertain” us with hysterical antics. The best part was always sitting around the dinner table that was set for royalty, and enjoying dessert while the then farmers in the family chatted about unruly cows or my husband and sister got into a bad joke match. I love them all. Okay, well, not the Alvin and chipmunk one! Just about any traditional tune makes me tear up with the emotions of the season. What’s your favorite Christmas comfort food? I love all the food favorites from sweet squash to dessert platters of assorted Christmas cookies. Funny how there’s always room in the belly for one more cookie! Which best describes your perfect Christmas tree: a lush blue spruce decorated with the latest couture; a shaggy cedar covered in homemade ornaments and strung with popcorn; a vintage aluminum tree with shiny glass bulbs; or a palm tree adorned with pink flamingos? My fave would be a nicely shaped tall tree—live or artificial—with homemade ornaments that all have lovely memories attached to them. Thanks, Elaine! It’s always great to have you as a guest at Divine Detour! For more information about Elaine, visit her website and/or blog, Everyone’s Story, and follow her on Facebook and/or Twitter. Kathy, thanks so much for hosting me on your lovely blog. You always do a magnificent job with it. It’s always great to have you here, Elaine!